Refusing to join would be an unprecedented move. Thailand has taken part in the test since 2000. Education Minister Teerakiat Jareonsetta confirmed he has sent a request to the organiser asking for the proof-reading. “I am aware that examination papers should be kept in secret. However, if the translation quality is poor and not done by linguistic experts, our students may not be able to understand the questions perfectly. If that’s the case the test won’t reflect their true abilities which is not fair on Thai students,” Mr Teerakiat told the media yesterday (June 21). He said the wording of the examination paper is crucial because the test does not draw on memorising facts. It tests analytical skills in maths, science and reading. “We think the Education Ministry needs to make sure the translated version is correct and comprehensible first and foremost. Because critics often disregard the issue of the language barrier and have used the country’s poor performance in Pisa to attack the government for failing to provide a quality education,” he said. The minister added other non-English-speaking countries have also expressed language translation concerns regarding examination papers. In addition, the ministry has also proposed the test organiser exclude the Pisa scores of Thai students from small-sized schools in rural areas when calculating the overall score of the country. It said the Pisa organiser did this with small schools in Vietnam in calculating the average score of that country. “We understand that we have a gap between students in large and small schools that needs to be narrowed. But we believe that the Pisa organiser should treat Thailand and Vietnam equally in this respect,” he added. Mr Teerakiat said the Pisa scores of schoolchildren in Bangkok and most urban areas in Thailand were actually similar to their peers’ in OECD countries. He said small schools in Thailand get low scores because of limited resources. The ratio of teacher to students in Thailand is 1:20. But in small rural schools, there are few teachers, maybe only one to teach all subjects to all students. 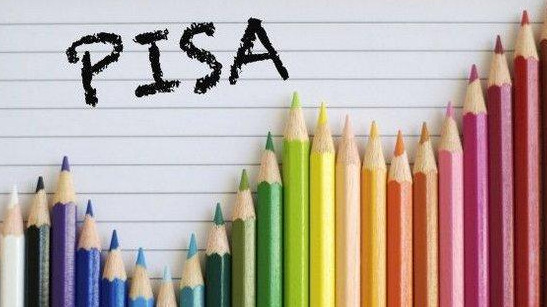 Pisa is funded by the Organisation for Economic Cooperation and Development (OECD). Every three years it surveys the knowledge and skills in mathematics, sciences and reading of more than half a million 15-year-olds across 70 countries worldwide. According to the latest Pisa survey in 2015, Thailand ranked 54th for maths, 57th in reading, and 54th for sciences. Ranked 54th, Thailand’s overall performance was far below other Asian countries. Singapore was the top performer in all three subjects, followed by Japan in second place. Taiwan came in fourth, China in sixth, while Vietnam did well at eighth. Thai children scored 415 points in maths, far lower than the international average of 490 points. In sciences, Thai students scored 421 points, much worse than the international average of 493. And in reading, Thais scored 409 points, well below the OECD average of 493 points. Thailand’s performance in reading and sciences dropped sharply from 2012 when students scored 427 in maths, 444 points in sciences and 441 in reading. How nice for the thai excuse person to make a point of misspelling. Completely by passing the real thing about 'rural' and more.. Completely bypassing the fact of real thai discomfort about Pisa. It still will not  other Pisa joining countries  make a eye blink. Thailand out? Ok, it will lift Pisa to a higher serious level. "to get Thai education at a higher level,specially for the "rual" country. "Hahaha,i love it. Talking about other peoples education and then this:"rual"??? Not expect the outside world will give a damn for a thai threat. Join or not join PISA, free choice. What I see is that this Junta the last 4 years has not done enough to get thai education at a higher level, specially for the 'rual' country. Well, unneeded submarines and tanks, and now twisting about Pisa, right? Probably afraid that we see Thailand did sink further down education wise.